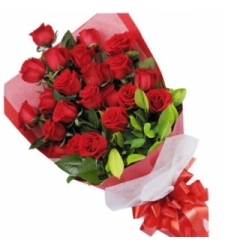 cebuflower.com offers high quality Flowers Delivery Cebu City, this collection includes so many different expensive and low cost things that now everyone can very easily afford a special Valentine’s Day gift to Cebu City for their significant other. Their collection includes beautiful roses, other flowers, special bouquets, special chocolates, different sizes of teddy bears, balloons, cakes, gifts, special gifts for mothers and so much more. The quality of the whole collection is 100% guaranteed, so it will definitely leave one’s significant other simply amazed and impressed. cebuflower.com is fully committed to providing high quality products to their valued customers and due to this they have hundreds of loyal customers right now. As stated by cebuflower.com, “Our goal is to deliver beautiful flowers,plants,Gifts at the best prices.We are committed to quality and service. Our 100% satisfaction Guarantee is our personal commitment to create long term relationships with our valued customers and our customers’ satisfaction is our number one priority, not just because it's our job, but because we care”.